Chris Townsend Outdoors: The Great Outdoors September Issue: Lots of Gear! 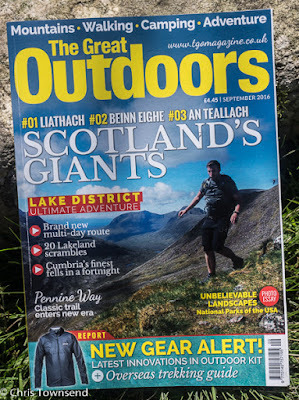 In the shops now the September issue of The Great Outdoors has rather a lot of gear pieces by me. There's an account of the lightweight gear I used on the three-day trip in the Cairngorms I wrote about in this post, a look at new gear coming out soon, a review of knives and multi-tools, and a test report on the Keen Versatrail shoes. Away from gear I've been dreaming about the desert for my backpacking column. Making a dream real is Carey Davies on a visit to the magnificent hills of North-west Scotland. In the Lake District John Fleetwood describes a multi-day route including twenty classic scrambles. Andrew McCloy walks the Pennine Way and ponders the future of this iconic trail. Carey Davies is also in the Pennines, exploring Kinder Scout in his Mountain Magic column. One hundred years of the United States National Park Service is celebrated in a series of spectacular images by Jason Hatfield. (You can see my own gallery of US national park images here). Away from the high mountains Roger Butler explores the rolling hills of Radnorshire. 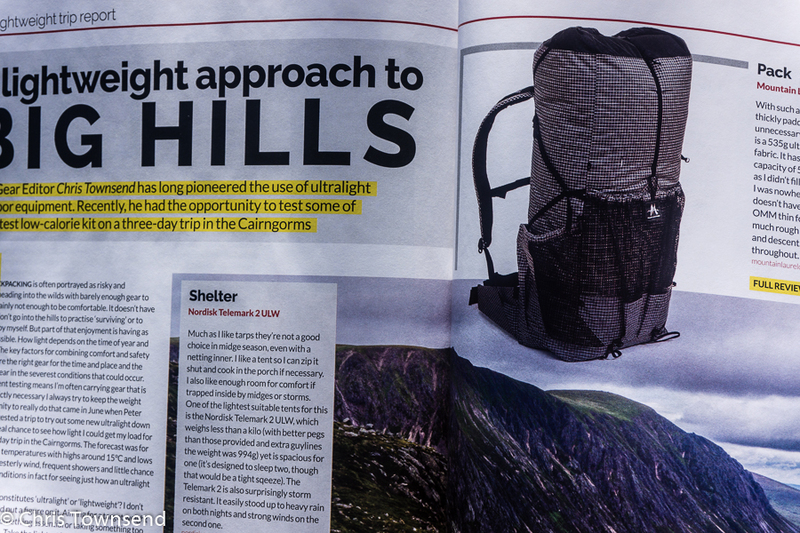 The Hill Skills pages move abroad with a useful guide to trekking. On his Environment page Roger Smith reviews two new books - Fiona Reynold's The Fight for Beauty and Stephen Moss's Wild Kingdom - and looks at the messages they contain and how they could and should influence the new UK Environment Secretary while in his Hillwalkers' LibraryJim Perrin reviews an old favourite, H.W.Tilman's The Seven Mountain Travel Books.